Staff very friendly; Breakfast was convenient; the lobby gave a clue as to what the Hotel was once like. 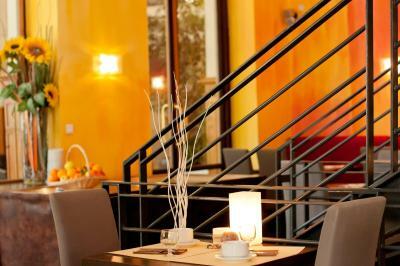 Rooms were above superior compared to normal, average rooms in other European hotels. Crown molding on all walls, large ceilings created speciousness. Shower was haphazard though as water lines carrying water to the shower head emerged up from under the tub fixture with no rubber capping of the entrance aperture allowing loads of water to return down the opening and potentially creating a veritable jungle of black fungus and other health concerns. They really need to plug the pipe traverse hole and consider using a shower curtain or glass doors to retain shower water in the shower. The reported air conditioning amenity was a "token" system which failed to provide any coolness. Fortunately, opening windows was able to provide cool air from the outdoors available during the fall season. 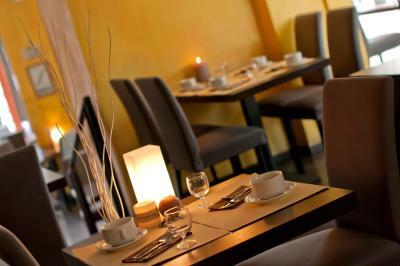 Staff was really accommodating and location was really convenient across from the train terminals. 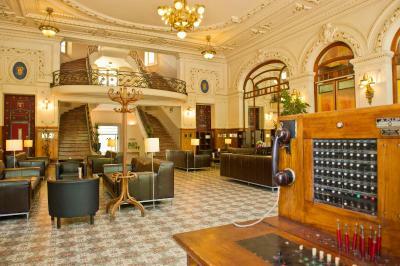 A wonderful old hotel with a huge entrance hall. Old fashioned and anbit run down now, but still full of character. Position to canal and railway station perfect. At the entrance to town. 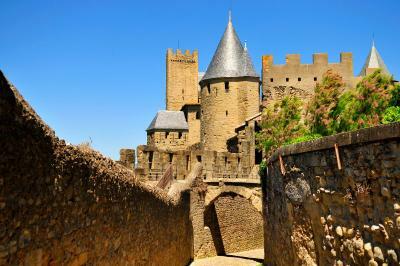 Quite a walk up to the Citadel but one can take a tourist little train up or a bus. Liked the style of the hotel quirky, clean, staff were friendly and obliging, great position for the train, canal midi, free bike hire, ect. 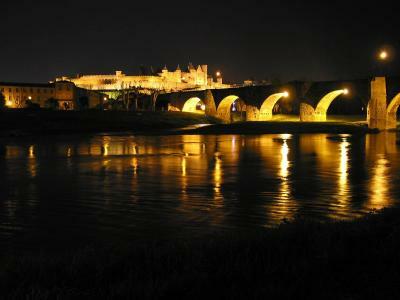 Walk to the old city 20 mins but easy to find and felt safe at night walking back. 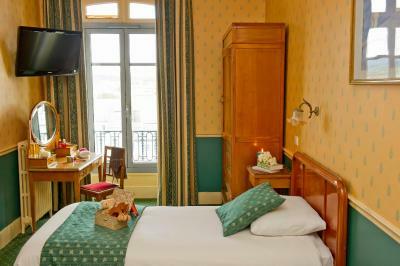 Our first room wasn't great no view and a bit musty so asked to move higher up to 3rd floor, much more airy and had a view of the old city and this was done straight away its old French railway hotel so high ceilings , beautiful marble double staircase to reception. The hotel was a historical building in the centre wonderful entrance and must have been an amazing place but now the rooms needed updating looked a bit tired and grubby. Location is very good. 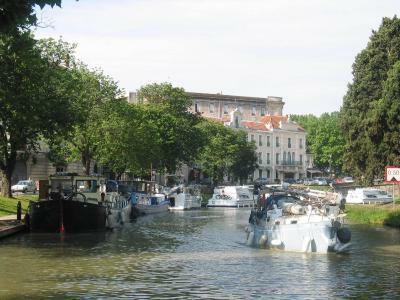 Very close to the station, bus to the Cite, Canal du Midi and Place Carnot. Beautiful building first opened in 1914. 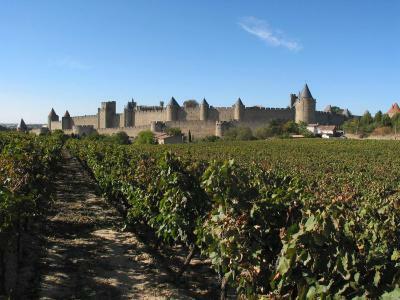 We were NOT at Le Terminus, we were at les Chevaliers. 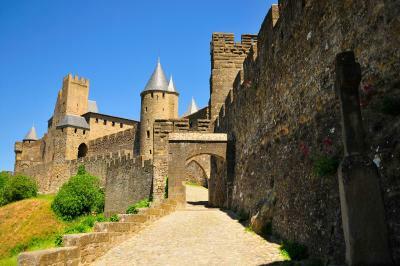 We greatly preferred le Terminus and would not stay at Les Chevaliers again. 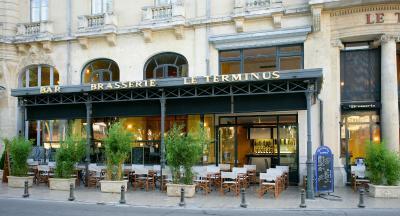 Unlike Le Terminus, it had no character. Wonderful old hotel, full of character. We can't praise the staff highly enough in helping us during a difficult time. 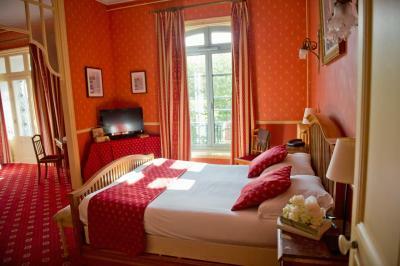 Very comfortable bed in large bedroom. Full of atmosphere. 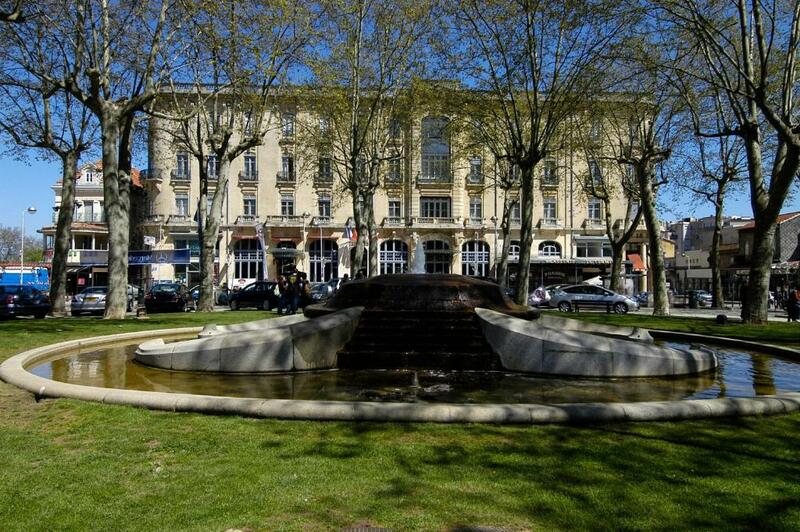 Set near the banks of the Canal du Midi, this hotel is 600 feet from Carcassonne Train Station. 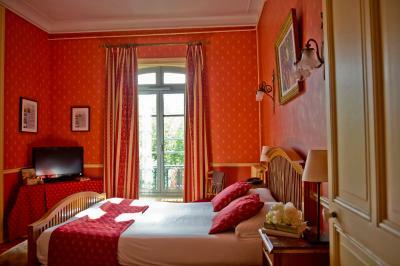 Each air-conditioned guest room has a TV and a telephone. 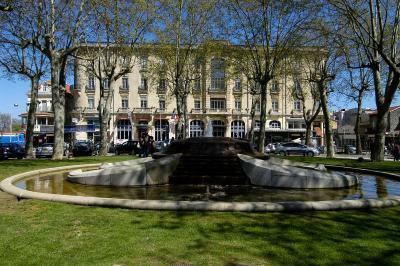 Some are decorated in a Belle Époque-style and have panoramic views of the canal, the park or the medieval town of Carcassonne. 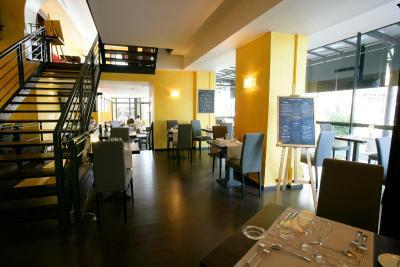 Regional specialities are served at the hotel's restaurant, and guests can enjoy a drink in the bar at Hôtel du Soleil Le Terminus. A buffet breakfast is prepared every morning. 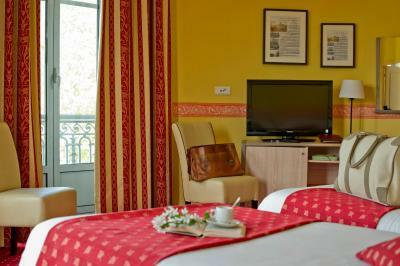 With a 24-hour reception, Hôtel du Soleil also provides bike rental on site. 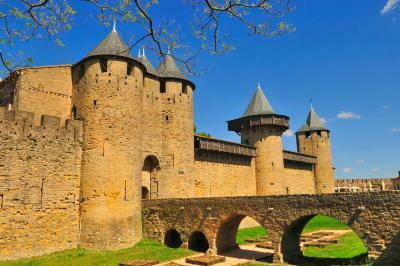 Saint Michel Cathedral and the medieval town of Carcassonne are a 20-minute walk away and on-site private parking is available. 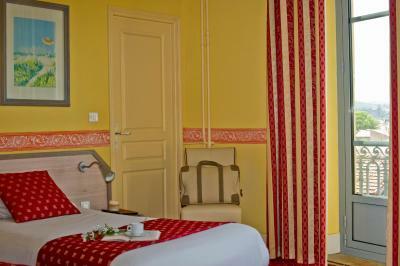 When would you like to stay at Hôtel du Soleil Le Terminus? 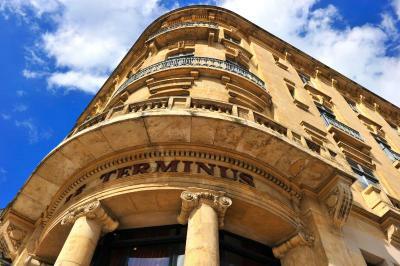 The Terminus Hotel is an institution in Carcassonne. 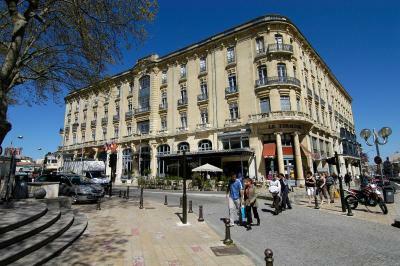 With the democratization of tourism in the early century the hotel built by architect Belin, was inaugurated in 1914. 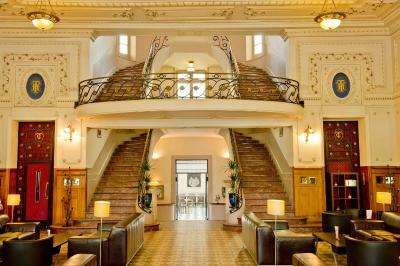 True architectural gems of the early century you will travel back in time to the "Belle Epoque" with its particularly well preserved building and double internal staircase rated the "Beaux Arts" . 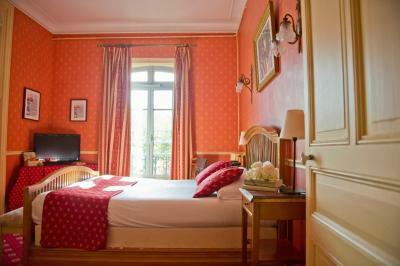 House Rules Hôtel du Soleil Le Terminus takes special requests – add in the next step! 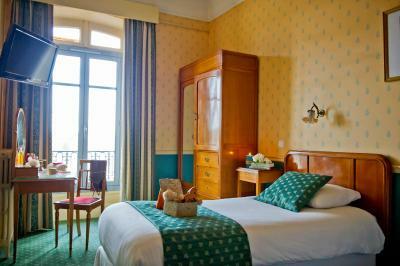 Hôtel du Soleil Le Terminus accepts these cards and reserves the right to temporarily hold an amount prior to arrival. This formerly grand hotel is somewhat faded in decor. Paper cups in room for coffee, no glasses for water. Room very dated for a 4 star hotel, some furniture broken. Balcony view over square is now a building site. Location excellent, nice size room and bed. Just when I saw it online it seemed as if it would be a lot better rooms/finish (especially for the price). It was a nice location, nice building, very nice staff. No bar. No restaurant. Bathroom pokey. The location was excellent. It was a few meters from the railway station (where the airport bus drops off), and a 15-20 minute walk from the Old City (walking through town). 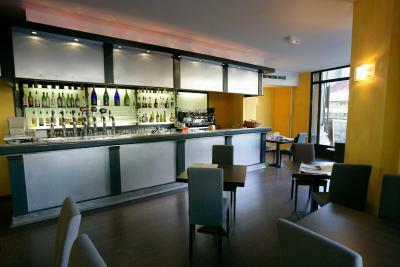 The hotel was comfortable, the room was sizable with free wifi, and the breakfast was very good indeed. The staff were warm and very helpful. I was given a map, and the receptionist took the time to recommend what to see in town, as well as information on visiting the old city. Very bad smell in the room ! A very charming Art Déco place ! 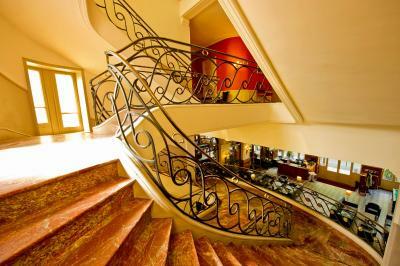 Incredible stairs and lobby ! The indoor pool was very enjoyable. Standard of the room was poor, tiny bathroom. There was an issue with the water pressure which meant we couldn’t have a shower in the morning. The hotel took no ownership of the issue and refused to compensate in any way which was disappointing , a free breakfast was easily a way to show they were listening and cared but was repeated told I have no authority to do anything you need to go through booking.com, very disappointing for what is meant to be a 4 star hotel. Close to train station and reception area looks like faded grandeur of the past, but good.